Jetro is the name for an insect-like Bakugan. His legs resemble those of Fencer and its ball form looks like Jelldon. He will be released in wave 4 Bakustand series. Jetro has so far been seen in Aquos, Darkus, Ventus, and Subterra. 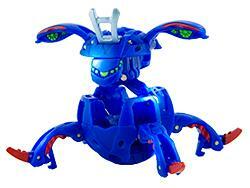 Purchase your Jetro Bakugan from Amazon now!